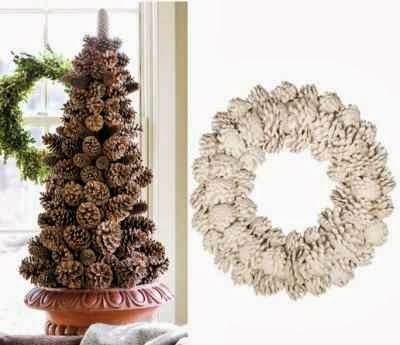 I know Thanksgiving is next week, and by now most of us have done what we would like to do for our decorating with that holiday. Many of us have, are doing, thinking about it, and working on our christmas decorations. Some will buy handmade, some will buy items from the stores, and many of us will have fun making and crafting our own things for this precious christmas holiday. So many thoughts, and so many ideas for Christmas Crafts to share. 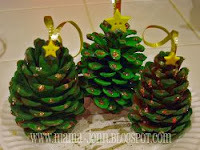 What you are seeing now is some pinecone christmas tree decorations, and ornament crafts. I have shared just a few things with you, but know there is so much more to see and do. 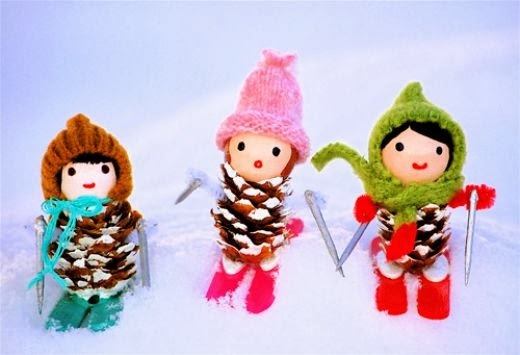 Some are able to go out to the yard, and get their own pinecones...like me. Others will get some from neighbors, friends, and you can also buy some at different places too. If you get your cones from outside make sure to get them in the oven for about 20-30 minutes at 250 degrees to get rid of any nasties, and to clean them off a bit before you craft with them. 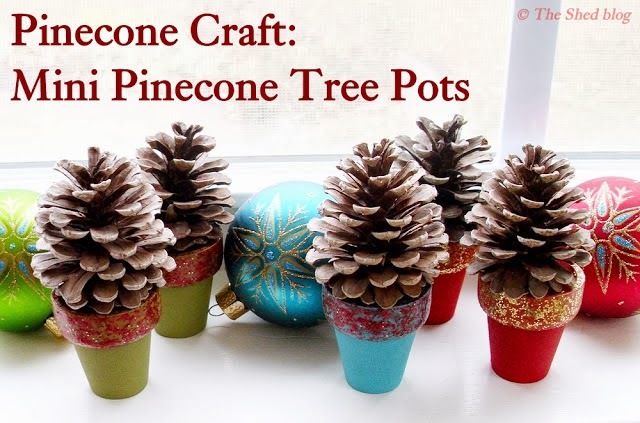 Once you have all the cones you want there are many possibilities that you can craft with them. Make little pot trees, make little trees, ornaments, figurines, wreaths, paint them, and the list is endless. A small reminder that Christmas does come a little earlier to us this year following the holiday. Thanksgiving was a little later this year for us. Hope everyone is enjoying all their preparations for the upcoming holidays, and maybe able to get a few more ideas as well. It's not too late to still do some of these things. Thanks so much for sharing your time with LilacsNDreams, and hope to see you all again soon. I always enjoy hearing from you, and having your share your thoughts and ideas with us all too. Just leave your thoughts with us in the comments for all to see. Thanks again everyone, and have a Happy Day!